If you want to learn more about a word, idiom or anything from the Internet, all you need to do is type the word or phrase into a search engine such as Google and it will show you links to websites that can give you more information about it. As for images, if you’d like to know the name of the person from a photo, it would seem impossible because you don’t know the name in the first place. You might think that the only solution is to post it to forum hoping someone would recognize the person from the photo and tell you the name. Fortunately there is something called reverse image search where you can actually perform a search query based on an image rather than keyword. This can be very useful for the scenario that we’ve mentioned above and also for webmasters to see who has used your copyright photos or images without your permission. Here we have 5 online services that can be used to perform an image reverse search for free. Not only is Google the leading search engine for text queries, their reverse image search is in fact one of the best as well. All you need to do is visit Google Images on your web browser, click on the camera icon (hovering the icon with your mouse cursor will show a label “Search by image”) and you’re given the option to paste the full URL of an image that you want to search or upload from your computer. Not only can Google Image Search tell you which websites are hotlinking the searched image, at the bottom of the search results also shows images that are visually similar. As an additional tip, Google Chrome web browser allows you to conveniently search for an image on a website by right clicking on the image and select “Search Google for this image”. Yandex is the most popular search engine in Russia and similar to Google, they too have an image search feature. Unlike Google Image Search that has a smart algorithm that tries to guess the person on the image, Yandex only shows where the image is being used and also a list of different sizes. If an image is not found, then Yandex will attempt to show any similar images. Performing a reverse image search in Yandex is quite similar to Google Image Search. Click on the camera icon located at the far right of the search bar and you’ll get to either upload the image or search through a URL. TinEye is the first web based image reverse search engine that probably started around 2008 and they’ve indexed nearly 8 billion images so far. You can search for an image by uploading from your computer or by pasting a URL of an image or even a webpage where it will automatically show all the images from the page. If you find yourself using TinEye quite frequently, you can install the TinEye browser plugin that is available for Firefox, Chrome, Safari, Internet Explorer and Opera to simplify the image search process. A nice feature found in TinEye is the ability to sort the results based on best matched, most changed, biggest image, newest and oldest. There is also a useful comparison feature where you can easily check the difference between your image and the found image match with a single click. Do note that TinEye is free for non-commercial use and the paid version allows API usage. 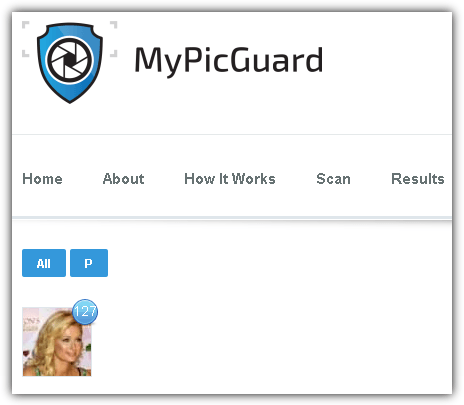 MyPicGuard is another reverse image search engine that aims to find who is using your images. You’ll need to sign up for a free account that automatically gives you 100 credits for free to start using. A single image reverse search will use up 1 credit. MyPicGuard seems to be a new service (probably still in beta) and we couldn’t find a way to top up credits even if we wanted to. The steps to start using MyPicGuard is a bit complicated and long if compared to the reverse search image service that we’ve mentioned above. After sign up, login and go to the Scan page. Expand Images, and click on the Scan folder. To upload files, click on the disk icon and browse the file from your computer. After the file has been uploaded to the Scan folder, click on the button at the bottom right that says “Click To Scan”. 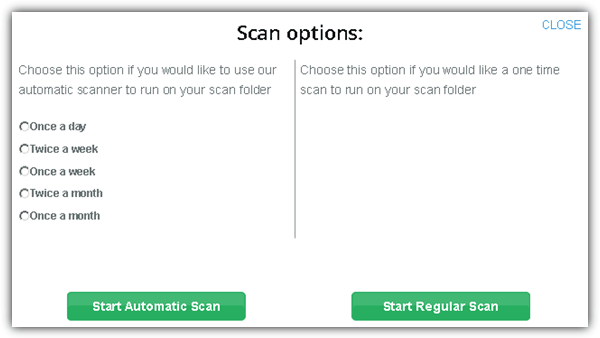 You are then prompted whether to perform an automatic scan such as once a day, twice a week, once a month, or simply a one time scan by clicking on the Start Regular Scan button. You can now close the window and wait for an email notification to inform you that the scan has completed (Normally the scan takes only a couple of seconds). Visit the results page and the number shown at the top right is the amount of links that is found using the uploaded image. Just like most of the reverse image search engines, Image Raider allows you to specify a URL or upload an image from your computer to check on the web who is using the image. Image Raider uses the credit system whereby a new sign up automatically awards you with 300 credits for free and each image search uses up 1 credit. Image Raider doesn’t have its own reverse image search algorithm or robot that crawls the web and index discovered images. It merely scrapes the search image results from Google, Bing and Yandex, presenting you with a consolidated result containing information such as the domain name with a metric called Domain Authority, the number of images and pages. You can also click on the whitelist icon to hide a specific domain from the results. Interesting search engine! Thanks for bringing it to our attention. Great article, man. Love this.